Finding out what metrics to use and how to use them to measure engagement remains a challenge for many news organisations. And once you’ve gained new insights about your readers, how do you use them to add value to your journalism? To find out more about the specifics of audience research in a news organisation, we talked with our former News Impact Academy participant and News Impact Summit speaker Ingeborg Volan, Director of Audience Engagement at Norwegian business paper Dagens Naringsliv (DN). Over the last year, DN carried out extensive audience research to get an in-depth understanding of their readers, and also to pinpoint what makes great journalistic storytelling. They’ll use the results to shape a new strategy ahead of DN’s reorganisation this fall. And they’ve already implemented some of it to their day-to-day. Here are some important lessons they’ve learned about audience research during this process. Volan set up ethnographic interviews with 30 potential readers after she had practised this audience research method at the News Impact Academy, led by Marie Gilot from CUNY. This method is used to better understand human behaviour. 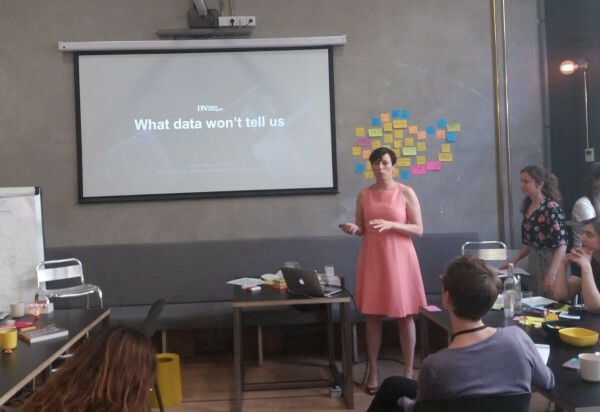 Volan and her team now have a clearer image of their readers and they’re using these insights to make their journalism more relevant and interesting. The team also did a data analysis to find out what topics and articles their users are interested in. They took four months of data from 150,000 devices from users that had more than 50 page views across all DN’s digital platforms. The data enabled them to identify five interest-based segments. Combined with the results from the ethnographic interviews, they managed to identify standardised users, or so-called ‘personas’. For example, one group of readers is more interested in markets and finance, while another distinct group of readers is more into politics and society. “Now we know how big these groups actually are,” Volan said. Additionally, the team analysed when and how users accessed DN’s platforms. They tried to understand the emotional reasons users may have for interacting with certain types of stories, using a BBC World Service study on reader needs as a source of inspiration. The team used these new insights to introduce a policy for front page publishers, indicating what stories should go out in the morning, night, and weekend. “On a weekday evening, they’ll have one or two good stories to relax or learn something, aiming to respond to the emotional background around news consumption,” said Volan. The research also revealed some underrepresented segments, such as female readers and young people. “About 37% of the workforce in Norwegian businesses is female, and only one in four of our readers is a woman, so we should be able to have at least 37% female readership,” said Volan. When it comes to young readers, DN is particularly interested in reaching the ones who will end up in Norwegian business and administration. In terms of analytics, Volan’s team uses standard measurements, KPIs and dashboards to make sure they’re aligned with the company’s strategy. However, they’ve eliminated pageviews around viral stories from their internal reports. The team also put effort into determining which stories are kept subscription-only and what content will be shared for free to recruit new types of readers. Overall, Volan sees data as “really good feedback” from readers, and a helpful tool to understand the audience, which helps to improve their journalism. Do you want to bring innovation into your newsroom? In 2019, we will organise three News Impact Academies and three News Impact Summits. All events are free-of-charge and will take place in European cities. Topics and locations will be announced shortly. Sign up for our newsletter and be the first to find out more. Thanks to Paula Montañà Tor.